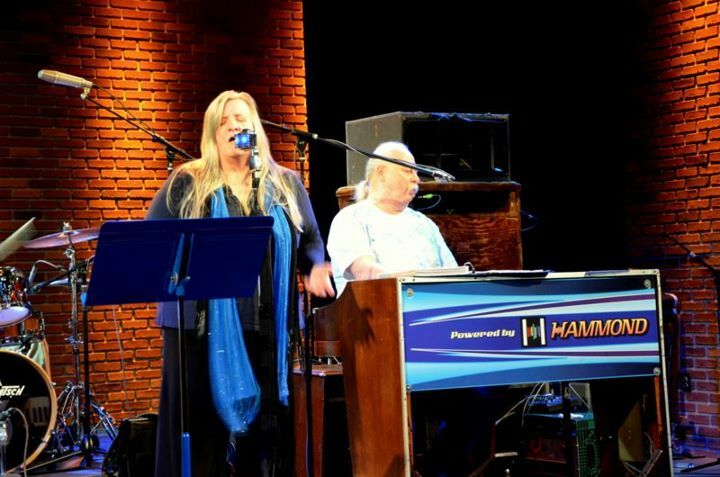 Welcome to the homepage of Mark Hamza, Hammond organ and accordion and co leader of the SheilaMark Band with Sheila Stratton. We are proud to announce that our EP's are available on CD Baby and also digital sales. Mark Hamza's Great Swamp Blues Band, "Come Together" and SheilaMark Band "A Presence of the Blues". Mark Hamza has been playing accordion since he was 8 years old. His father, who played by ear, inspired him to play. As he grew up, he learned European music, then American music. His last teacher gave him a solid foundation in the American songbook. He played in restaurants and weddings on his way through college, and graduated with a BSChE from Newark College of Engineering. At that time, he also started playing Hammond organ, learning to play bass lines with his feet. A full time musician since 1971, he landed an organ gig in the Poconos in a Pennsylvania resort band in 1972 and moved there. The Poconos are a musician-friendly area with a wonderful support network. He occasionally went on the road with different bands. In the 70’s, it was with “"The Happenings"” where he learned analog multi-keyboards. In the 90’s it was with the “Clarence Spady Band” where he honed his blues chops on Hammond organ. His Hammond is a highly modified A-100 that has a separate channel for the bass pedals, among other things. He supervised the customization at Organ Service Co. of New Jersey with design input from Trek II Products. The bass pedals have their own amp and speaker. His accordion is a hand made Sano that also is stereo. He has concentrated on using the accordion in non-traditional ways. He has played with singer-songwriters through the 80’s, 90’s, and the 2000s. He played accordion and organ on Eric Anderson’s “Ghosts Upon The Road” album, and played on a number of Richard Shindell and Richard Meyer albums. He also played in a Zydeco band in the 90’s. He also uses the accordion to “sit-in” with various musicians and bands like Phil Woods, Johnny Coates, Al Cohn, Spencer Reed, and many others. One of his current bands, The Great Swamp Blues Band, consists of Hammond organ, Saxophone, Trombone, and Drums. The band plays a combination of cover songs and originals that reside on the “Jazzy side of the Blues.” In 2007, Mark released his “Great Swamp Blues Band” album. The new EP is available on CDBABY and digitally on many different systems. The new EP is called "Come Together". The SheilaMark Band is a female fronted, Hammond organ driven band that plays Blues, Rock, Zydeco and popular music of yesterday and today. The band is: Mark Hamza, Hammond organ and Sheila Stratton-Hamza, vocals. Then we have some other great musicians perform with us like Dave Pasch, Andrei Koribonics, Rick Statsman, Dean Rickard and Teddy Young. Mark and Sheila also have a duo and a trio called SheilaMark. Accordion, vocals and either drums or guitar. The SheilaMark Duo performs at many Senior assisted living residences in Pennsylvania, New York and New Jersey. We bring to them the music of their generation, plus show tunes, waltzes, polkas and tangos. They also play at restaurants and coffeehouses. Sheila is a vocalist and Mark accompanies her on the accordion. The mix of music we perform include polkas, waltzes, tangos, songs from the 1920’s-1970’s, show tunes and songs from the movies with an emphasis on the time of year that we are entertaining. If you get a chance come and see the bands. I am sure that you will have a great time!!!!!! !